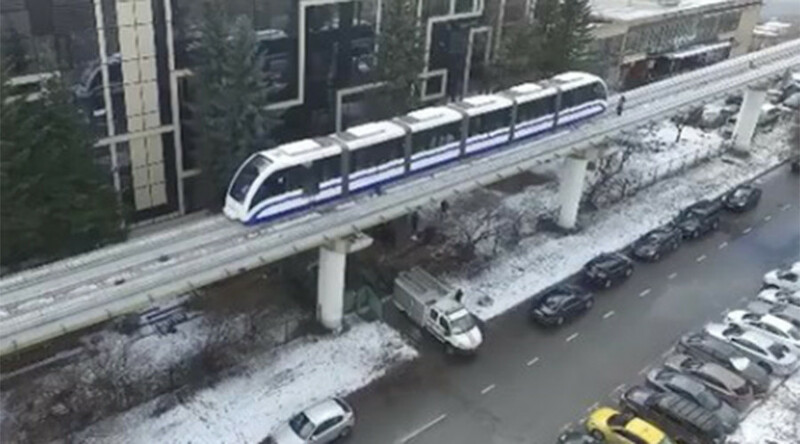 Sixty people were forced to walk on a monorail beam 6 meters above ground in Moscow after a collapsed tree halted train services on the line on Monday. “The overhead system was damaged by the branches of a fir tree, located at the SoyuzMultfilm studios on the stretch between Teletsentr and Milashenkova Street,” the Moscow Metro press service told Interfax. — Владимир (@Skafelis) 27 марта 2017 г.
Sixty passengers were evacuated from the train after it stopped, with the rescuers escorting them to the nearest station. The people were forced to walk on the de-energized monorail at the height of around 6 meters above ground. “No one was injured” as a result of the incident, the Moscow Metro said, adding that service on the line was restored after repairs. The Moscow Metro also said that it’s going to sue SoyuzMultfilm cartoon studios for compensation over losses caused by the fallen tree, which was located on the studios’ territory.